We're in the process of putting the finishing touches on Krew's new room, such as wall hangings and organization. I decided we needed a fun place to store his stuffed animals up and off the floor, because he's acquired quite a few and they take up a lot of room. Pretty cute, right? And at a (supposedly) decent price. We thought it'd look great in an unoccupied corner of his room. And with the way it's designed, he'll be able to get out and put away many of the stuffed animals on his own. To my excitement, the product shipped that night and we received it two mornings later (today). Yay! 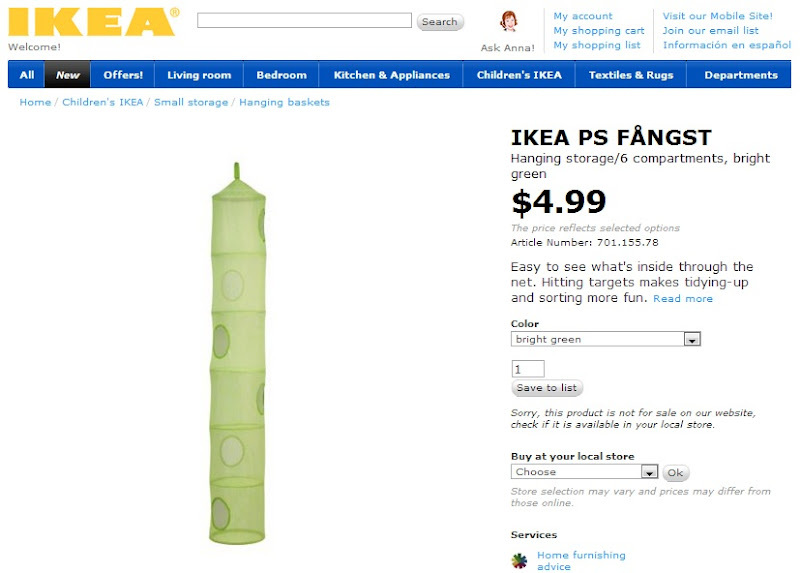 So of course, me being me, I immediately rush to the IKEA website to see how badly I got ripped off. Grrrrrrrrrr...seriously??? I paid two and a half times that!! I rushed upstairs to Dave in an angry fit of disbelief, and he said he wasn't surprised about it, since it looked like an IKEA-type item. I said I was going to return it and he said, "Really? Is it worth the hassle?" I could see his point. 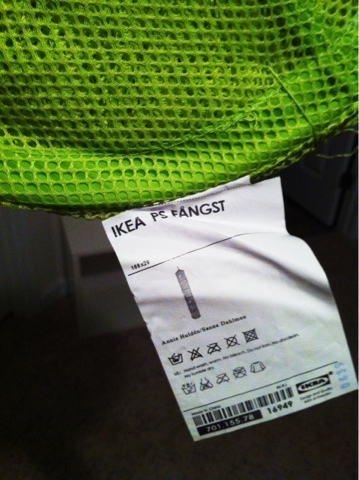 I'd have to ship it back to Amazon, wait until the next time we're in Charlotte, and then make a trip to IKEA. Not the most convenient plan. Is $8.00 worth that? So I guess we'll probably keep it. Dave and I are equally frugally-minded, so if he supports just keeping it then I'll go along with it. But ooooooooooh does it irk me!! Please tell me I'm not the only one who's fallen for a gimmick like this?